There isn’t an exact date or time when Golden Retrievers and Poodles were first bred, but they were first marketed by breeders in the early 1990s. It is thought that the success of the Labradoodle and Cockapoo brought about the idea of the Goldendoodle breed. With the temperament of a Golden Retriever and the light shedding of a Poodle, the Goldendoodle immediately became a hit across America. By the request of pet owners, breeders have developed four sizes of Goldendoodle breed: petite, mini, medium, and standard. Also due to popular demand, breeders have created a wide variety of coat colors, including caramel, chocolate, cream, and red. Goldendoodles are gentle and affectionate dogs with an easy-going temperament. They are extremely intelligent, and according to the Goldendoodle Association of North America, they score in the top 4 of the 150 smartest breeds. They have an extremely social personality and love to be with their fur parents. If you are looking for a watchdog, a Goldendoodle isn’t for you. They tend to get along with everyone and usually don’t bark at people they don’t recognize. The loving and social Goldendoodle personality makes them great family pets, as they get along with kids and other pets. Keep in mind, because a Goldendoodle is a mix of two different dogs, sometimes you will get more of a Poodle’s personality, and sometimes you will get more of a Golden Retriever’s personality. Their temperament is not entirely predictable. Because they are so intelligent, Goldendoodles are easy to train and are often recommended for first-time or timid pet owners. Some even call Goldendoodles people pleasers because they always want to make their fur parent happy. If your Goldendoodle is a people pleaser, training will be a breeze. Good Goldendoodle behavior should be rewarded with positive reinforcements. Goldendoodles require 20-30 minutes of exercise each day to prevent them from getting bored and keep them in good health. If possible, take your Goldendoodle swimming. Both Golden Retrievers and Poodles are water dogs, making the Goldendoodle a swimming fanatic. It is recommended that you do not adopt a Goldendoodle if you live in an apartment because Goldendoodles need plenty of room to roam around and play. Despite their large size, a Goldendoodle lifespan ranges anywhere from 10 to 15 years. The popularity of the Goldendoodle keeps growing! Their light shedding makes them perfect for those with allergies, and their playful, gentle personality makes them a great pet. 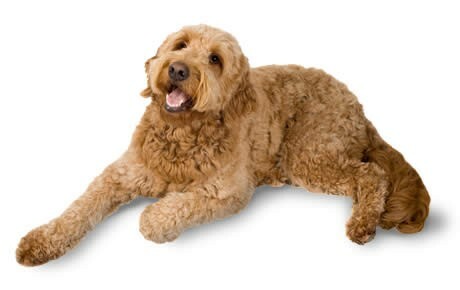 Goldendoodles require 1-4 cups of dry food each day, split into separate meals. How much food they require is dependent on their build, metabolism, activity level, and age. Goldendoodles require a sufficient brushing once a week. Owners who don’t want to deal with this upkeep often get their dog’s hair trimmed by a professional. Only bathe your Goldendoodle when it is necessary, like after a muddy hike, as he can lose essential oils that are necessary for a healthy coat. Also check your Goldendoodle’s nails once every month to make sure they aren’t too long. Due to how frequently they exercise, Goldendoodles’ nails often get filed down on their own. For optimal Goldendoodle health, their ears should be checked once a week for redness or a bad odor, which are signs of an ear infection. Clean their ears with a cotton ball and an ear cleaning fluid, making sure to only wipe the outer ear. Do not insert anything into your Goldendoodle’s ear canal as this can inflict pain or damage. Are Goldendoodles Good With Kids? Goldendoodles make great family pets. Their patience and unconditional love are Goldendoodle characteristics that bring happiness to kids and adults alike. They are highly social and thrive on human interaction. 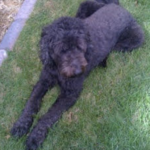 Bloat/Torsion/GDV: GDV, or Gastric Dilatation-Volvulus, often affects large chested dogs such as the Goldendoodle. GDV occurs when the stomach is distended with gas or air, then twists. The dog isn’t able to belch or vomit, and the normal blood flow to the heart is interrupted, causing a drop in blood pressure. The dog’s body will then go into shock. If this occurs, get medical attention immediately, as GDV can result in death. Signs your dog has GDV include salivating, retching without throwing up, being restless or lethargic, or having a rapid heart rate. 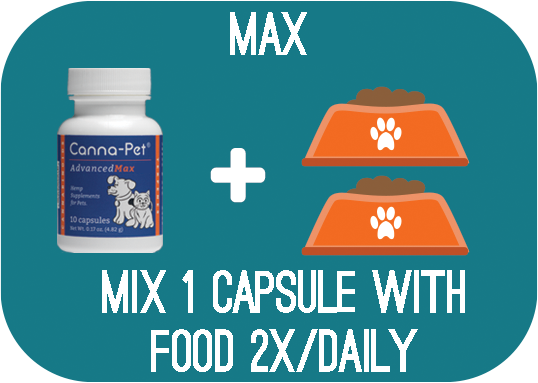 You can prevent GDV by not allowing your Goldendoodle to eat a large amount of food at one time and watching how much water he drinks after eating. Also, try to keep exercise minimal right after eating. Ear Infections: Moisture can get caught in their big, floppy ears, resulting in an ear infection. Check and clean their ears regularly to avoid any ear infections. Elbow Dysplasia: This condition is often found in fast-growing, large puppies. Elbow dysplasia is a sign they have an underlying condition, such as osteochondrosis, fragmentation of the coronoid process, ununited anconeal process, or elbow incongruity. The treatment of elbow dysplasia is dependent on the cause. Epilepsy: Unfortunately, both Golden Retrievers and Poodles are prone to epilepsy. Epilepsy is a lifelong disease for most dogs. However, there are ways to alleviate symptoms. Signs your dog has epilepsy include paddling of the legs, collapsing, frenzied barking or whining, and loss of consciousness. There are many different causes of epilepsy, and it’s important to check in with your vet to see what kind of epilepsy your dog is suffering from. Hip Dysplasia: Hip Dysplasia occurs when the thigh bone doesn’t properly fit into the hip joint. Hip Dysplasia is an inherited condition, making it imperative that you check your potential puppy’s parents’ health records for indicators of this condition. Hypothyroidism: Hypothyroidism is a type of thyroid health problem, and is often thought to trigger epilepsy, alopecia (hair loss), obesity, lethargy, hyperpigmentation, pyoderma, and other skin conditions. Hypothyroidism is easy to fix with a change to the diet and some medication. Patellar Luxation: Patellar Luxation, also known as slipped stifles, occurs when the knee joint slips in and out of place, causing the dog extreme pain. Separation Anxiety: Due to their love of human interaction, Goldendoodles often suffer from separation anxiety. They hate being alone, so if you are often gone for extended periods of time, a Goldendoodle is not for you. If you have a Goldendoodle and come home to a chewed up couch, a scratched up door, and an angry note from your neighbors complaining about your barking dog, he may have separation anxiety. There are many exercises you can do with your Goldendoodle to help them with their separation anxiety. von Willebrand’s Disease: von Willebrand’s disease is a blood clotting disorder where there is not enough von Willebrand factor in the dog’s blood. This results because the dog’s blood cannot clot properly. Your Goldendoodle may have this disease if they have bloody gums, nosebleeds, or prolonged bleeding after surgery. While there is no cure for this disease, suturing or cauterizing injuries can help prevent extra bleeding. Goldendoodles are also known to suffer from a multitude of eye conditions such as cataracts, corneal dystrophy, Progressive Retinal Degeneration, and distichiasis. 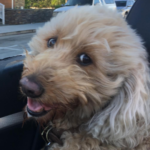 Goldendoodle Rescue: Doodle Rescue Collective, Inc.
Canna-Pet has helped tremendously! She can even climb the stairs again – at least when she wants to! She certainly has gotten used to the royal treatment of being carried. Hunter now wants to play ball and go for long walks and he has not had a seizure in nearly three weeks. After two biscuits, she just laid in her bed and casually observed the commotion. I told her about Canna-Pet and she said she has heard many great things. So thank you Canna-Pet!